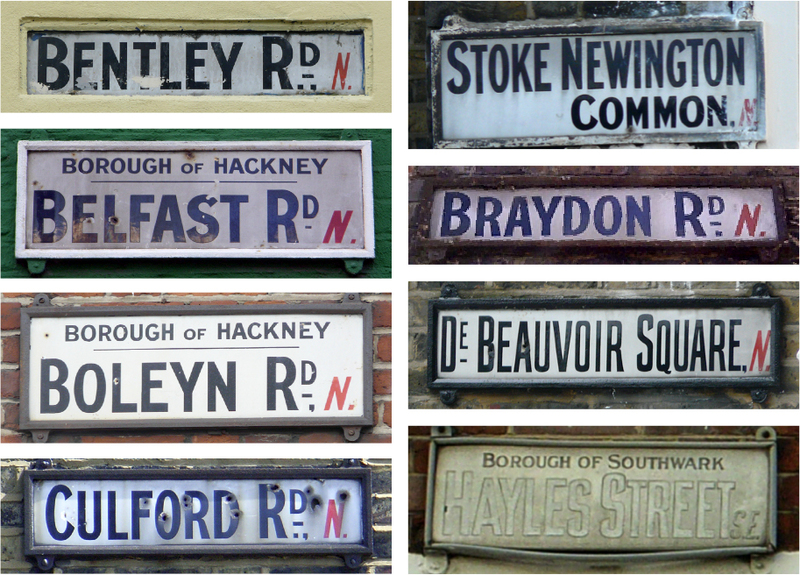 Many moons ago, back in 2008, I wrote a post about old metal street names which also included some of the now defunct mid-19th century N.E. 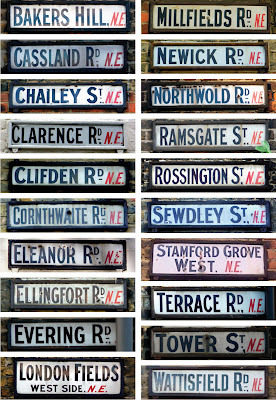 signs that I had spotted on the streets of North East London in Clapton, Hackney and Stoke Newington, today categorised as East London (E). Since the 1860s the NE code has applied to Newcastle. I am not the only one 'collecting' these glimpses of the past – Sam, Mr Ghostsigns, has organised a free scavenger hunt to on the afternoon of Saturday 21st April with the aim to make a database. If you are going to join in I'd suggest a bit of pre-event sleuthing via google streetview which will save time shoe leather. I won't be able to join in that day as I will be leading events of my own so, to help anyone who is going to join in on the days I thought I'd give you a heads-up and pull together all the NE signs I have collected myself. Well, I say 'all' but I mean the ones I have labelled and filed correctly – I am pretty sure I have other photos in a folder on my desktop titled "to name and file"! My photos of Clapton's N.E. signs shown A-Z. Other signs I am aware of but are not shown above are: Brett Passage, Colne Rd, Dunlace Rd, Malvern Rd, Mayola Rd, Mentmore Terrace, Mildenhall Rd, Navarino Rd, Roding Rd, Rushmore Rd and St Philips Rd. This makes minimum of 31 roads with signs showing the N.E. district. Note that some roads have two or three N.E. signs and I have only shown one of them. As regards the design of these enamel signs, I notice that there is no fixed punctuation style – colons, commas, full points and semi-colons appear to be interchangeable. 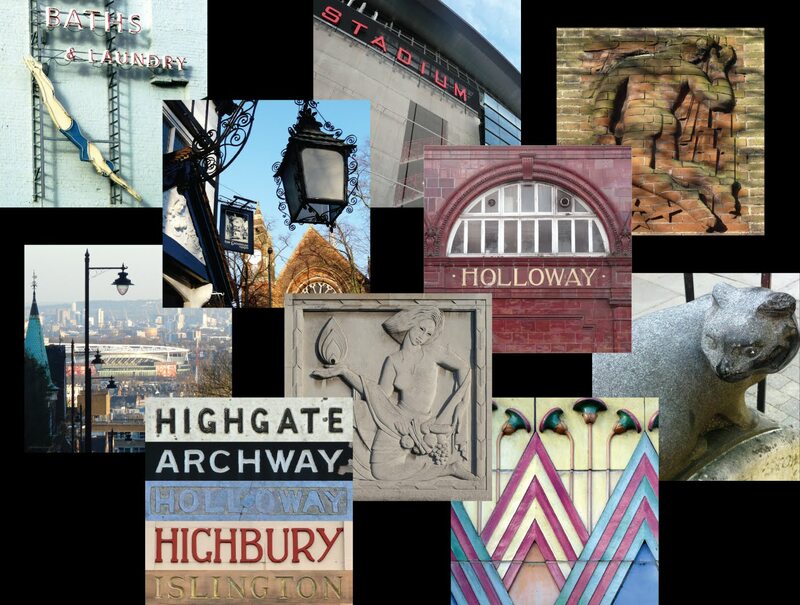 These signs from Hackney and Southwark are the same style as the N.E. signs including the typefaces, casing and fixings. 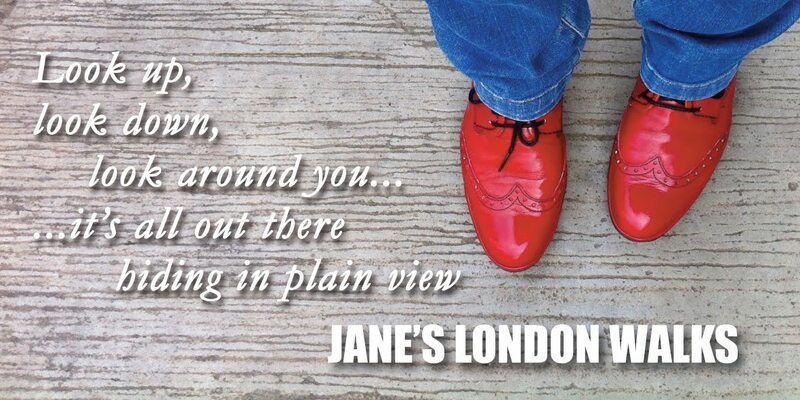 London also has no S postcode – we gave that one to Southampton. 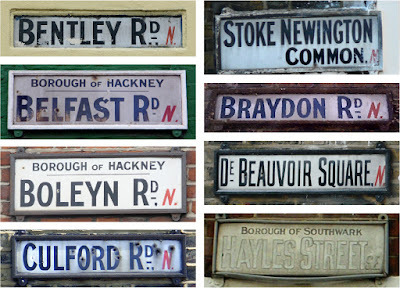 More types of street name signs in the Clapton area can be found here. 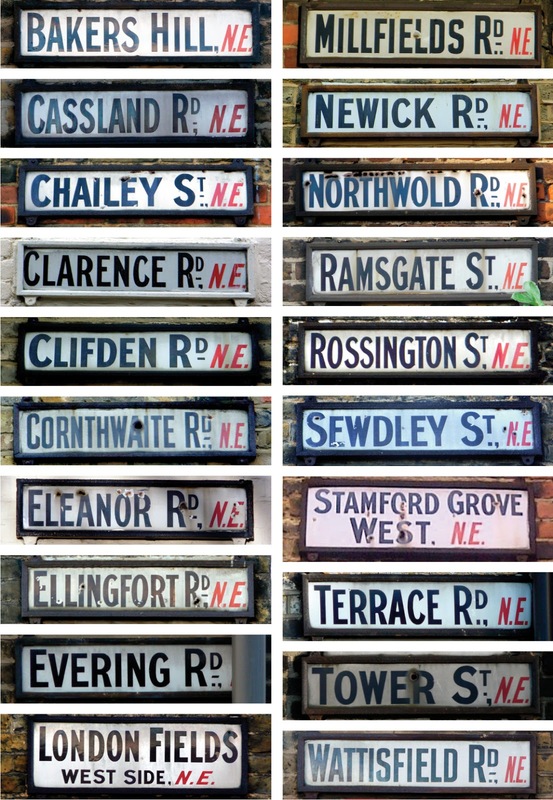 And this post, also from 10 years ago, shows a variety of road name changes.